Some historians believe June was named for Juno, Roman goddess of marriage, which is especially fitting for the month that boasts more wedding anniversaries than any other in our modern culture and even in many ancient civilizations. 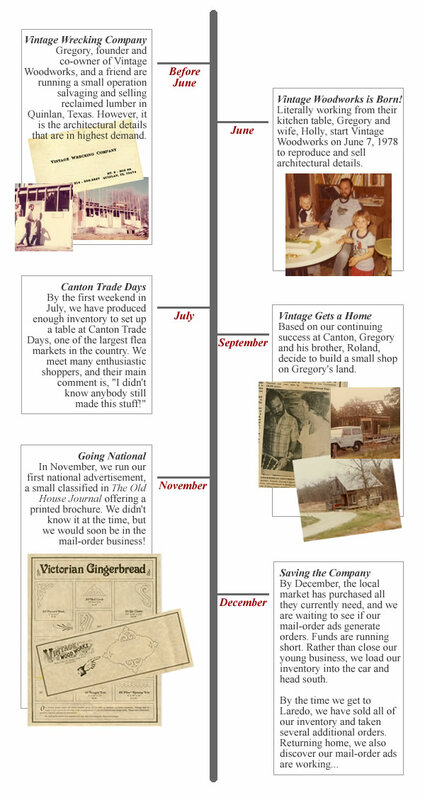 We at Vintage Woodworks aren't thumbing through wedding albums nor eating the top of a cake this month, but we are joyously celebrating our 34th year since our creation at a kitchen table in June of 1978! ...and Vintage grows! Over the years we've added lots of new items. We've helped thousands of wonderful people from all across this great country achieve their own gracious and peaceful surroundings. In fact, we're quite positive that Vintage Woodworks' customers are the finest anywhere! And so we continue... "Bringing Back Yesterday in Quality and Service"
Thanks for 34 fantastic years!